When news broke that Skip Bayless would be leaving ESPN for FS1, everyone jumped to guess who would be Stephen A. Smith’s new Bayless, but no one seemed to ask who would be Bayless’ new Smith. Bayless needs someone to bounce his anti-LeBron, pro-Tebow takes off, and Colin Cowherd and Jason Whitlock already paired off, there was no obvious candidate. Well apparently FS1 is looking outside their own hot-take fiefdom with the intent of giving Bayless a more moderate foil. 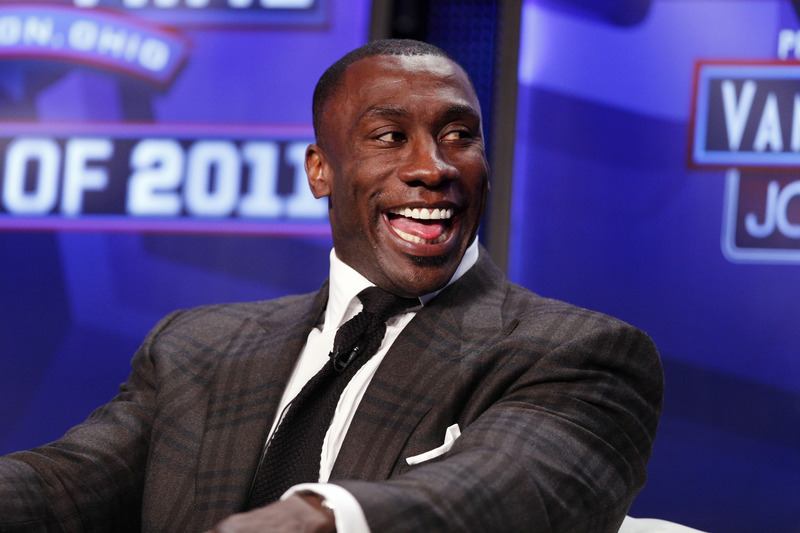 According to Sporting News, the network is zeroing in on NFL Hall of Famer Shannon Sharpe to sit opposite Bayless on his new show. Sharpe and Bayless have some history debating each other, as the former tight end filled in for Smith on ESPN2’s First Take several times last month and seemed to fully embrace the WWE-like tenor of the show. How many times must I out debate @RealSkipBayless b4 I'm declared the champ. Show is scheduled for 2 hrs, it's over in the 1st 30. #84out. I hope Shannon Sharpe is watching, reading and prepping as hard as I am for First Take tomorrow. He'll be in studio, debating NFL and NBA. Sharpe, who previously appeared weekly on CBS’s NFL Today before being replaced there in 2014, isn’t known for the same kind of brash opinions and blustery bravado that has made Bayless (along with Smith) a household name in television sports talk. But maybe FS1 figures it could benefit from an adult in the room next to Bayless. Bayless is such a big personality himself that you don’t really need another loudmouth at the table, and maybe the network that is embracing debate more than anyone else could be deciding to turn down the dial just a tiny bit. Plus, Sharpe brings some on-field gravitas to the position alongside Bayless. He played 14 years in the NFL, catching 815 passes for 10,060 yards and 62 touchdowns. And in an industry that loves to stick former pros wherever they can, the idea of pairing former newspaperman Bayless with a Hall of Famer is likely appealing. We’ve seen mixed results with the former-athlete-as-talk-host model. Marcellus Wiley has been well-received opposite Michelle Beadle and Max Kellerman on ESPN’s SportsNation, while FS1’s athlete-heavy panel was not. Sharpe and Bayless would certainly make for a much different dynamic than we’re used to with Smith and Bayless. Whether that’s for better or worse, we’ll have to wait and see.